Get a behind the scenes “fly on the wall” look at my journey and the journeys of the most successful real estate investors and real estate agents from around the country as we grow businesses that truly provide freedom, flexibility, grows our finances far beyond where we thought possible... and, ultimately helps us make the impact we want to have on the world. We do this by helping you create predictable lead flow through inbound marketing. Also... the stuff I love to talk about the most is what makes YOU tick. How do you perform at a higher level as a person? What productivity hacks do the most successful real estate pros use? How do you keep motivated and build momentum as a real estate investor or agent? Are you growing a business that is trapping you... or one that sets you free? Dive in twice a week with us and finally create the business that you’ve always dreamed of! 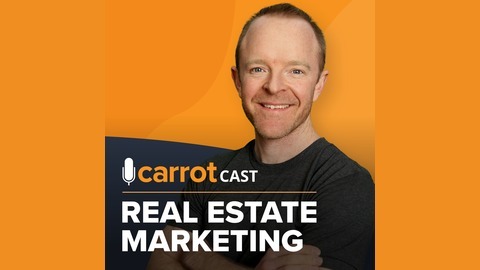 CarrotCast.com Trevor Mauch is the CEO of Carrot, a software and training company that helps some of the largest real estate investors and agents in the country generate inbound leads online. 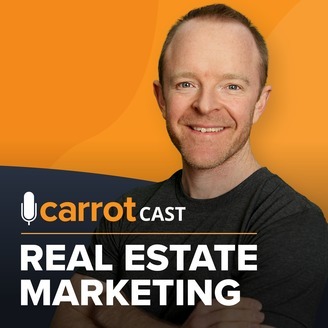 As one of the fastest growing companies in America rated by Inc. Magazine (and the #1 fastest growing software company in Oregon), Carrot has helped it members generate over 3,000,000 leads online over 5 years, and growing. Visit us at www.CarrotCast.com. Are agents and investors in danger of becoming obsolete? The answer depends on IF you’re executing this one thing in your business right now. On my way back from a real estate agents mastermind in Beverly Hills, I was stuck on this question, in a world where we increasingly rely less on human interaction and more on artificial intelligence and automation. So, I looked to the past for answers, specifically, the Stock Market Crash of 1987, when I had an epiphany... you’re going to want to hear this. Find out how to get people to like you, trust you, deliver better results, how to win over any of your skeptics, and how Agents can become the ‘digital mayor’ of your town.